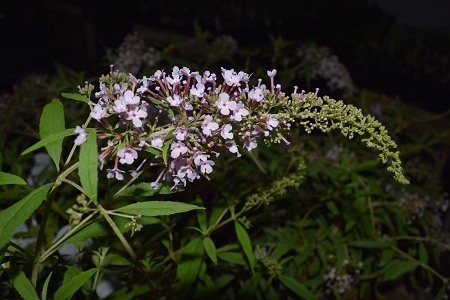 Wisteria Lane Buddleia (Butterfly Bush) - Beautiful Dwarf butterfly bush with an unusual fountain or weeping habit. Long spikes of fragrant lavender colored blooms attract butterflies and other pollinators. Stunning container plant. Grows to only about 24". Easy to grow and drought tolerant once established. Perennial zones 5-9. One live starter plant in 2.5 inch container.